Posted March 2nd, 2009 at 5:00 P.M.
Posted February 23rd, 2009 at 9:00 A.M. 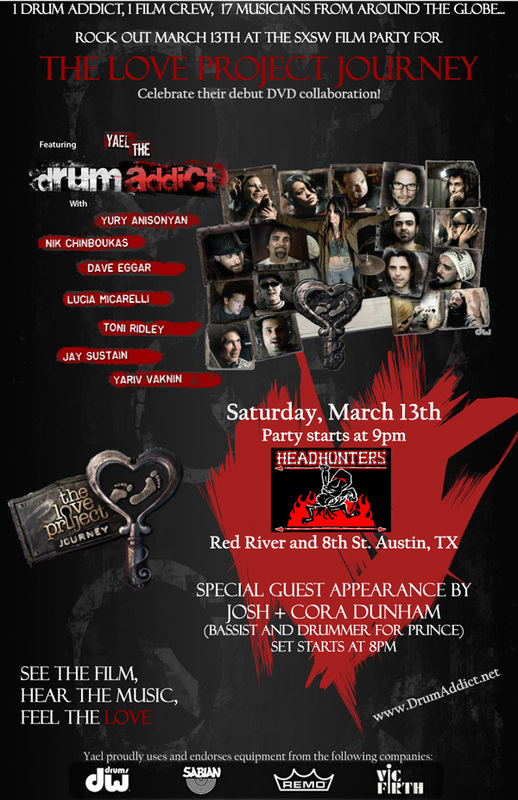 It's official, Yael and The Love Project are an official event at the SXSW Film n' Music Festival March 13th in Austin, TX. 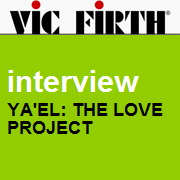 Posted February 17th, 2009 at 10:00 A.M.
Had the pleasure of Hyping 2010 and the love project news with Marco and Vic Firth - check out our Interview on their Artist spotlight here. Posted February 10th, 2009 at 12:00 P.M. Here's a special fun interview with Alain Yael Yury Terry at Namm with DrumChannel. Check out the video here. Posted February 10th, 2009 at 10:00 A.M. Simply submit your email address for DW/PDP Newsletters and we will randomlly choose a name. The winner will be shipped, free of charge, both a signed copy of Ya'el's latest DW DVD "The Love Project" AND a signed PDP Rat Rod Snare Drum!. Posted January 30th, 2009 at 12:00 P.M.
Namm 2010 Artist Access coverage at DW with Linda Cevallos featuring Yael and Yury. Watch here. Posted January 27th, 2010 at 9:00 A.M.
"At the 2010 Winter NAMM Show I was fortunate enough to speak with Yael and Yury Anisonyan about this extraordinary album/documentary and how the whole creative process came into completion." Watch the interview by clicking [here]. 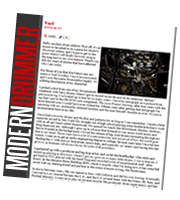 Posted December 14th, 2009 at 12:00 P.M.
Modern Drummer magazine asked for Yael to blog about her newest release and her drumlove- she is featured on the Modern Drummer's home page (www.moderndrummer.com) and artist blog by clicking [here]. Posted November 13th, 2009 at 6:00 P.M.
"Often the very best performers don't really have to say anything at all. It's not so much about how or what they say but rather how they make you feel. As we enter a new millennium and the dawn of a new age of thought, you can thank the deity that holds your faith (and the name you choose to give it) that Yael's DrumAddict: The Love Project Journey has come to fruition." Read the enitre article by going to www.theblackpage.net or simply click [here]. "The Love Project Journey" available soon! Posted September 30th, 2009 at 4:35 P.M.
We are releasing "The Love Project Journey" DVD and are looking forward to sharing our journey with you other DrumAddicts and new friends around the globe! Merch coming soon + pre-orders available at the DrumAddict Store. 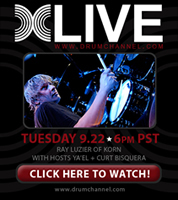 Posted September 14th, 2009 at 12:11 P.M.
Yael will be performing and interviewing and/or joining forces with Korn/STP/DLR drummer Ray Luzier on DrumChannel next Tuesday, September 22nd, LIVE from 6 PM - 7:30 PM. 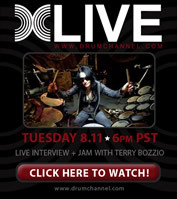 Check Sabian News or DrumChannel.com for more info on this event, or click [here] to watch the rebroadcast! Posted September 8th, 2009 at 2:15 P.M.